Wow, that’s so scary about your illness! And so weird that they couldn’t figure out what was wrong. Hope you’re on the mend for good now. Congratulations on the new granddaughter — she is so adorable! 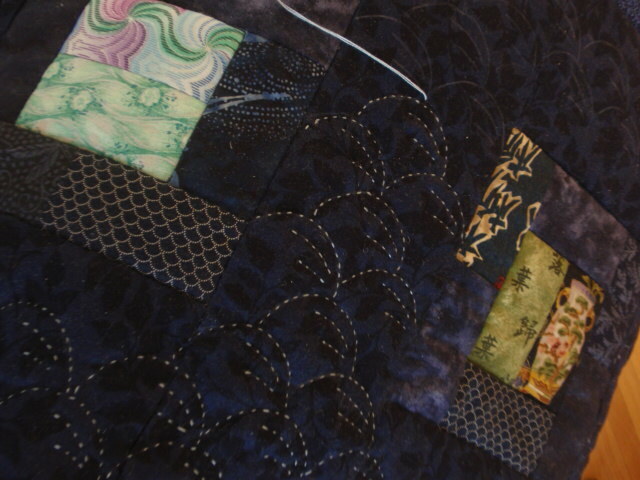 Love all the quilting going on too. Beautiful! I bet your other granddaughter is very happy learning crafts from her grandmother. Wonderful times! So sorry that you’ve been so ill but happy that you figured out what was going on. Even though you’ve been sick, you’ve gotten so much done. 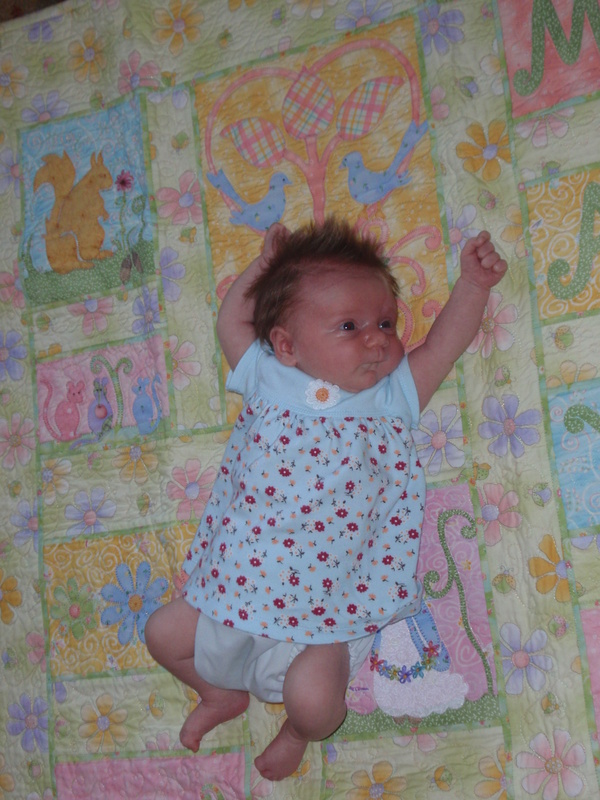 I especially love your applique project and your granddaughter is so very precious. Your grandaughter is beautiful! 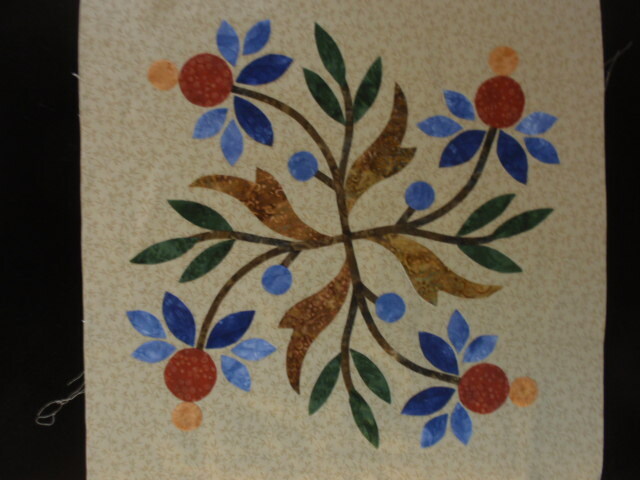 all the quilting is absolutly georgeous. Thumbs up on teaching the next generation! So nice to see a post from you! What a busy last few months you’ve had–and such a terrifying thing to deal with an illness of unknown cause. I sure hope the current diet you’re using keeps it at bay! 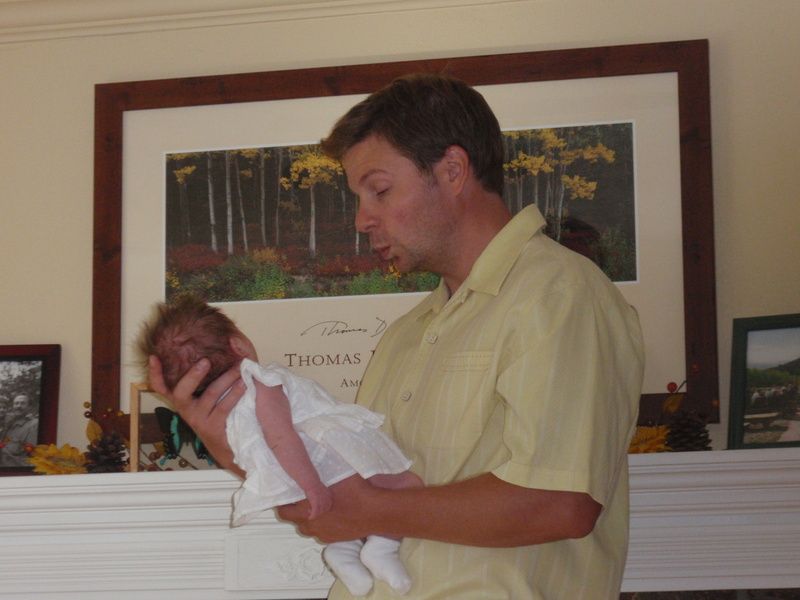 Your little granddaughter is so precious–I love the photos of her with her parents. And how nice that Sophie is following along in your footsteps. She looks so proud of her handiwork–and rightly so. Ah ! 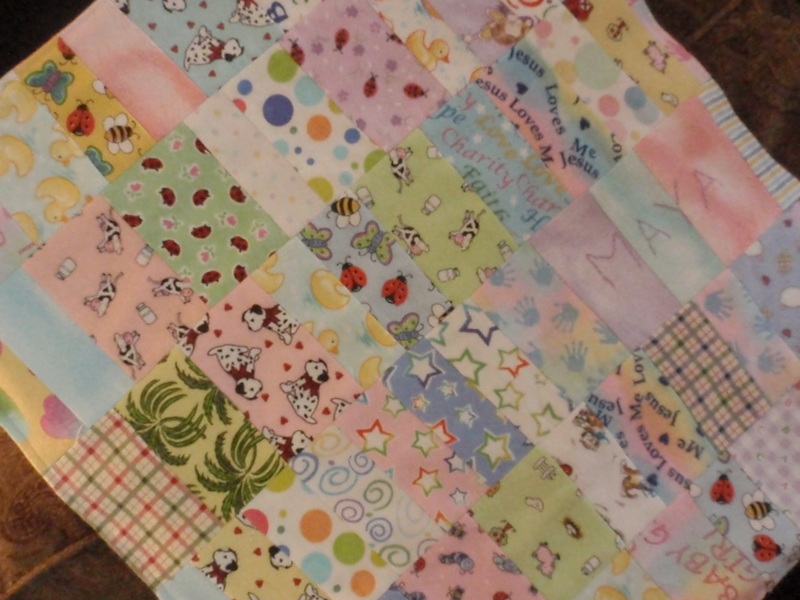 Karen….il y a un temps pour tout..
Quelles jolies petites filles..la plus grande semble très heureuse de faire ce quilt aux couleurs de bonbon..Félicitations à elle : de jolies et tendres couleurs, comparable à son sourire ! Pour ce bébé”tout neuf”..Un vrai bonheur pour tous! Maya a déjà trouvé “sa” place, il me semble!!! Bravo à tous pour le bonheur de ce bébé. Where to begin? 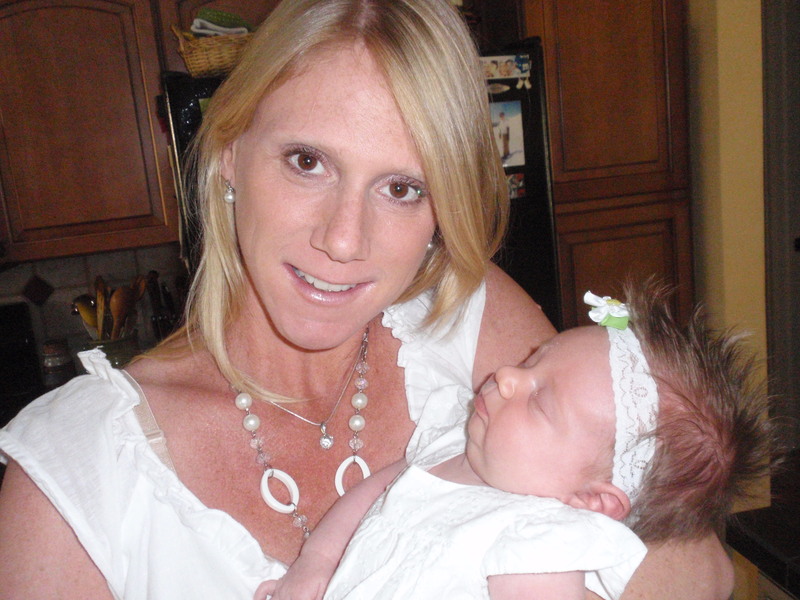 The baby is beautiful and how fortunate for you to have grandchildren. Lucky. Lucky. Lucky. And your quilts. They are beautiful and you are so prolific. 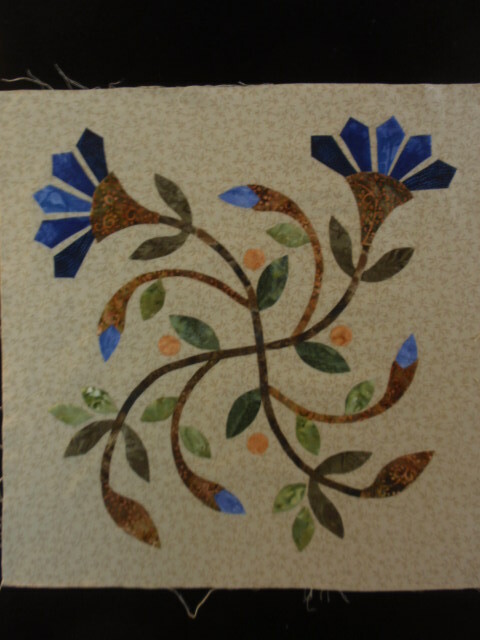 I know a little something about applique, and have done it before. I feel qualified to say that your technique is incredible and your points are perfect. Good for you. 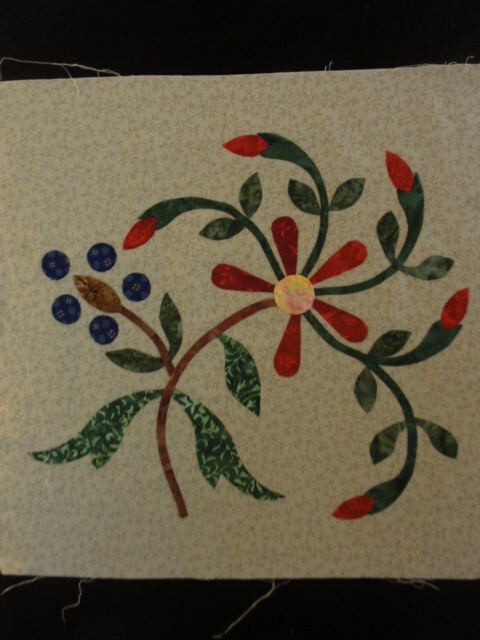 I too get the urge to quilt now and then, and I may start (or should I say finish) a project this winter…something small to hold my attention. 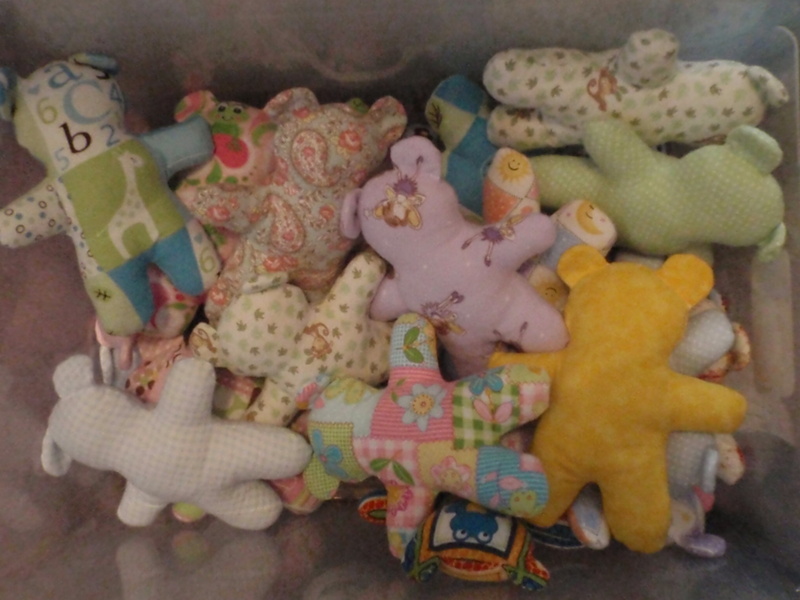 I also love the teddy bears, and what a cute idea. It would appear everyone in your family is attractive. Are you French? I know you speak it because of the above reply. 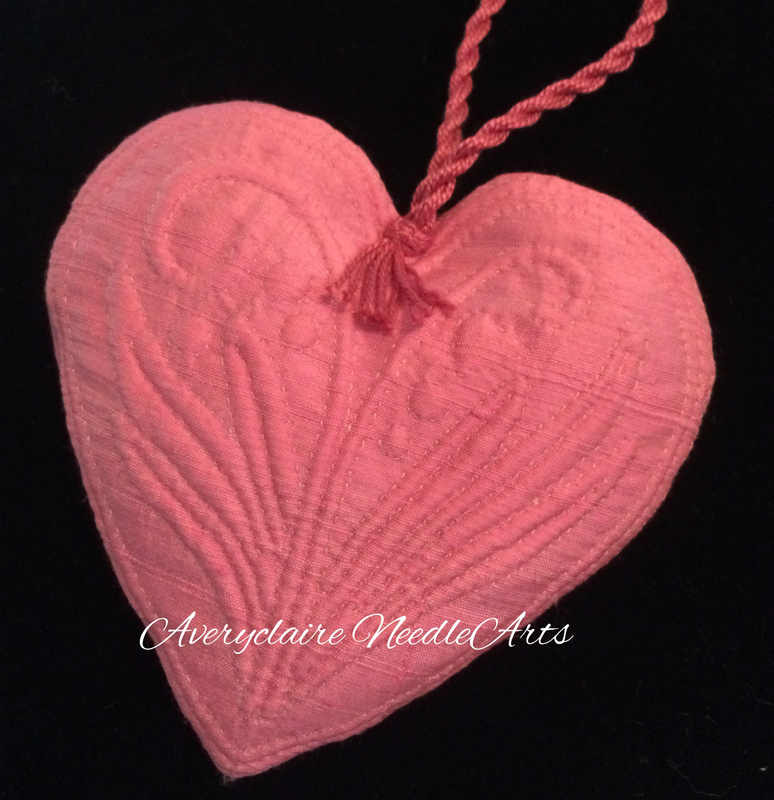 I am a Francophile (as well as an Anglophile) and love all things French, especially design, but also attitude. Paris is my favorite city, and I would live there in a NY minute if I could. Perhaps you’re Canadian. I need to read more of your posts. Glad you are feeling better, and even if it is forced you will be happy with the better lifestyle and eating habits. I don’t know your age, but I’ve given in to my body and now let it control me instead of the other way around. Changes needed to be made, so I’m making them. It’s all about feeling good, having energy, and being able to move about. My greatest fear is not death, but rather being incapacitated. We all need to keep moving!! Hope you stay well, and glad you’re back. Thanks for the fun read. These bodies! They just don’t know how to behave and it’s so frustrating when you get something that is difficult to diagnose. Glad you’ve figured out the problem! You have really been busy! Congrats on the new princess! 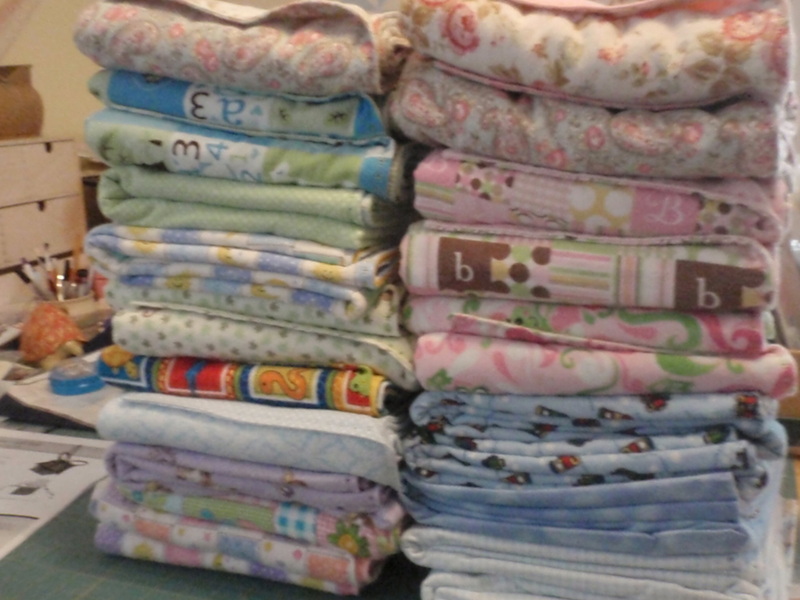 Love your work and all those blankets! Incredible hands! Great to read about all that has happened in your life over the last few months. The new granddaughter is georgous, and hope you continue to feel well! Oh, my! I’m so sorry to hear you were so ill. I’m glad you persisted and found a solution and I hope you contine to feel okay. I’m sure your new granddaughter helped a lot with the healing process. She’s a sweetie! Glad you are feeling better. Your grand daughters are delightful, I’m sure they fill you with joy. This post is quite amazing in several ways! Fist this lovely baby girl with these cute parents. Then this quilt she lies on you sure made. It is marvelous. 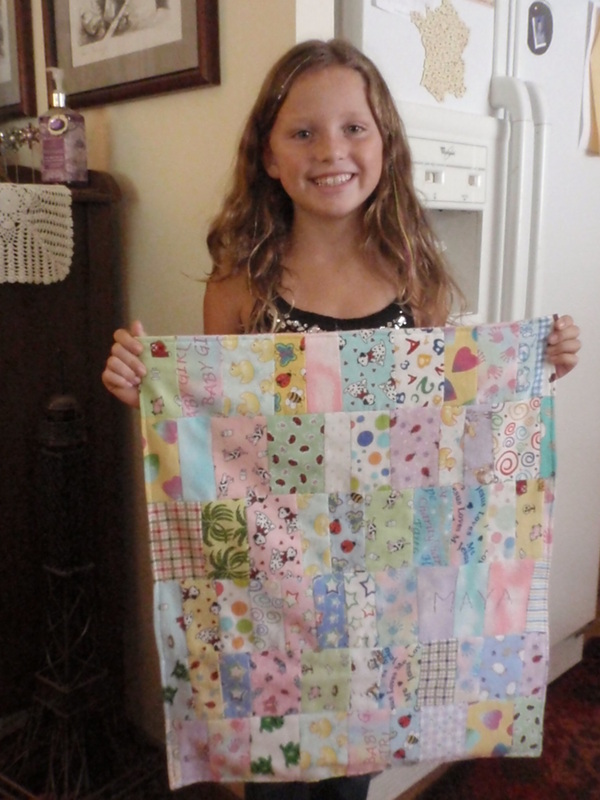 Then Sophia and her first patchwork! Congratulations to her and to Grand’Ma who taught the girl! 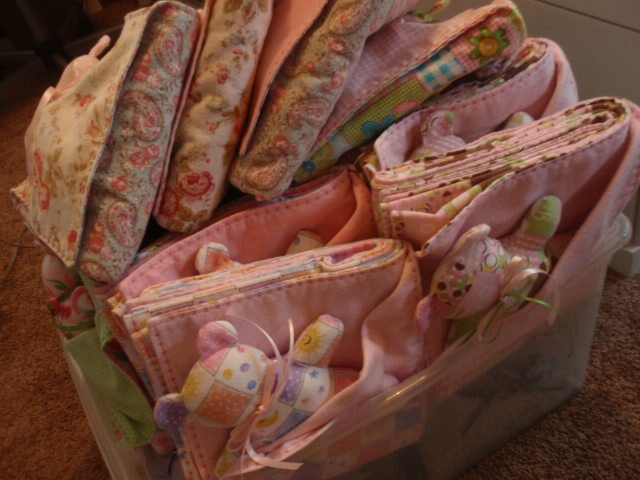 Then ALL those baby quilts and bears…when I only made one for a Japanese child somewhere near Fukushima. 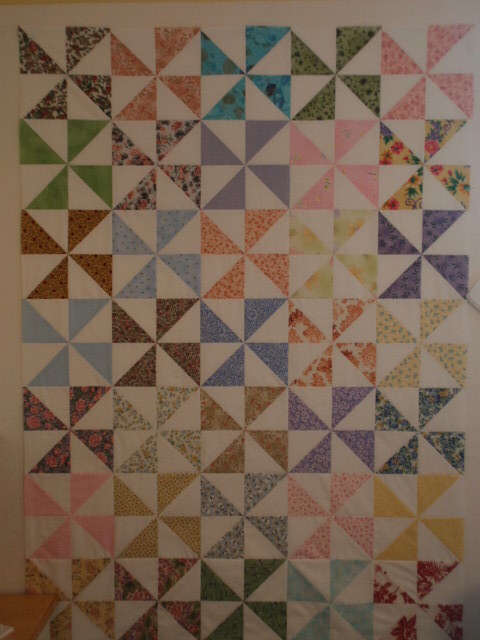 Then this scrap quilt: the ones I really prefer to sew. Then this incredible illness you finally identified! I know how it is scaring when after all the investigations le doctors say “we do not know…” It happened to me when suddenly I could not walk anymore…and fortunately a physiotherapist got THE idea and then it was all over (after 4 months) with a little piece of leather in my shoes!…If a big problem happens, keep being optimistic, the solution may be simple. Your granddaughters are ADORABLE!!!!! Congratulations on the birth of Maya. She is too sweet–I love that hair! Your very accomplished and talented older granddaughter is gorgeous. 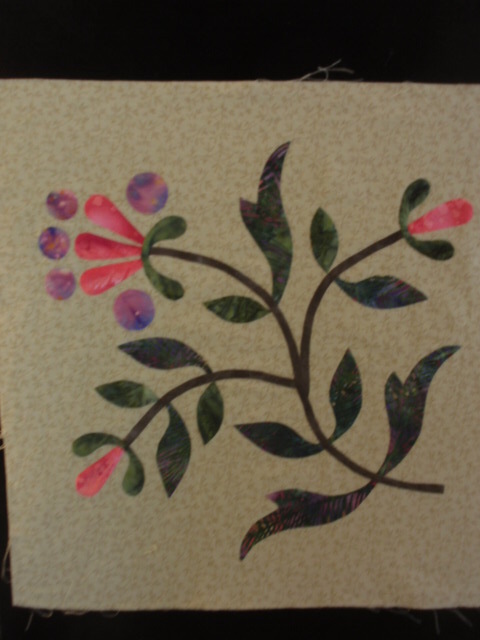 Beautiful work on all of your sewing. 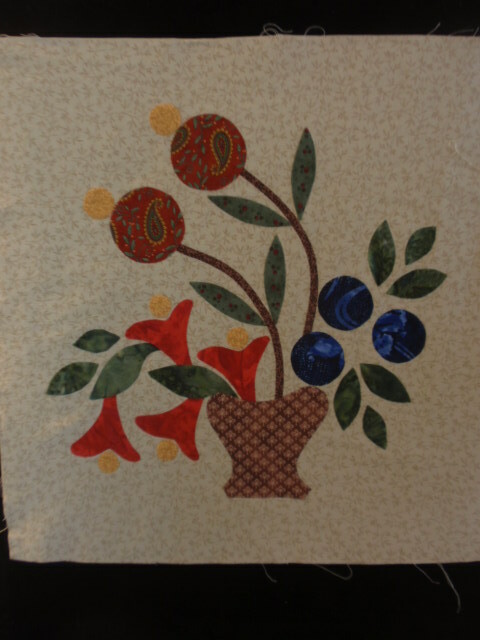 Quilts, blankets, applique–you are a woman of many talents! So glad to hear you are in health now and feel better. Congratulations on the arrival of your new grandaughter, Take care. Hi! Greetings from Finland! That Christmas stocking is so nice! I love it! 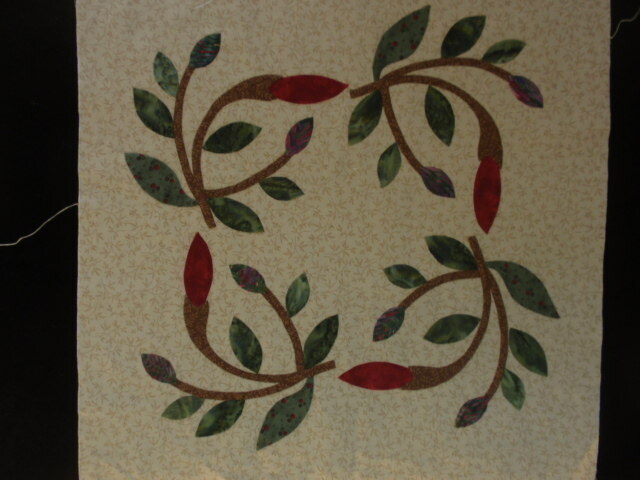 It’s so nice to find other quilters from other countries!